THIS PAGE CONTAINS A SUMMARY OF THE ORBS IN DRAGON QUEST HEROES 2 WHICH INCLUDES THE NAME, LOCATION, AND EFFECTS. WE WILL BE UPDATING THIS AS WE GO ALONG. 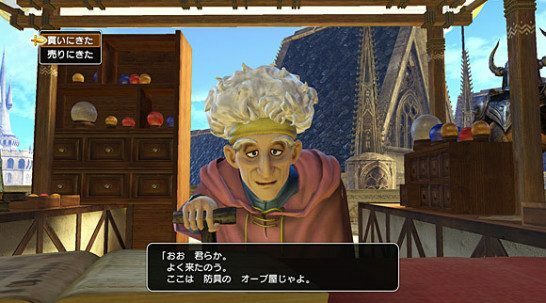 This article contains a summary of the Orbs in Dragon Quest Heroes 2 which includes the name, location, and effects. Please do bear with us. Japanese is not my first language and therefore translating it with whatever knowledge we have. We’ll update this as soon as the game comes out. Dark Orb 108 Increases invincibility frames when dodging ? Heavens Orb 130 Instant death resistance + 90% ? Hell Orb 65 Sometimes curses the wearer ? Misfortune Orb 142 Increases duration of negative spell effects + 100% ? Princess orb how to obtain? just a thought but with the english version of the game out now. why not start using that instead? like on that “stone Monument” page. those aren’t stone monuments, they’re Zoomstones. don’t get me wrong. this guide IS useful. it’s just…not as accurate as it could be for us english players since the translations here don’t line up with what you’d see in-game all that well.